It started five years ago when Mexico was the strongest country and controlled all the other countries. My name is Jair. When I was 17 years old, I was king of 45,000 countries. I was cute and I lived in a castle. Kevin, my brother, took over my power. I invented the Candy Gun to get my power back. Every kid loves candy. The point of the Candy Gun was to make the kids eat lots of candy and get stomachaches. Then I would become the strongest man on Earth instead of Kevin, who was President of America. I can’t tell you what I put in the candy ammunition. I invented something else, the Boston Chile Donut Grenade, not to eat but to use as a weapon. It had chile picante and lots of red cherries. When I threw it, chile got into people’s eyes and it burned. We kept winning. But one day I got mad because Kevin was trespassing on my territory. I took my army to go dig a big tunnel. We broke into the sewer to go underneath Kevin’s army and destroy his mansion. We poured in water and closed the sewer with thousands of doors to protect us. Then we made the whole city cold. We had a base underground to make new versions of the Candy Gun and the Boston Chile Donut Grenade. Our base was called Mexico City. It was built out of dug-up bones, and it was secret. We had a hideout with doors in the sewer. Sewers usually smell bad. Not this one. We had thousands of doors, and it smelled so good. Because there was a big rock blocking it, we didn’t go into Kevin’s territory directly. 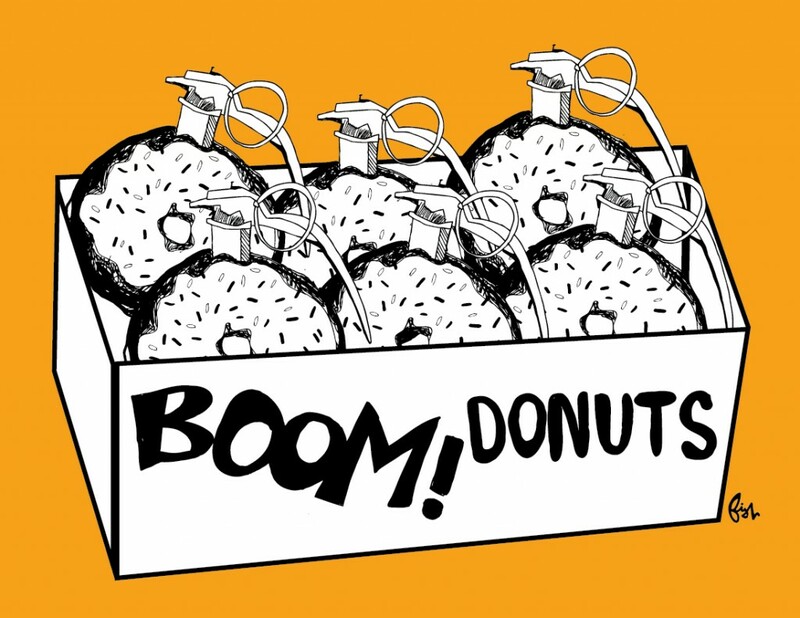 When Kevin was coming back from the fight he thought he won, his army fell into the traps we dug, got stomachaches from the Candy Gun, and couldn’t see because of the Boston Chile Donut Grenade. Then I took over Kevin’s territory. That’s how I defeated Kevin. Thanks to Jair Ayalas the Great. Jair loves soccer. And 826 Boston. Like this story? Own the Book! In the world of Paper Airplanes and Soda Throwers, there are no adults. But there are still rules! Watch out for "Loosefire and the Green Snake" and learn "What Happened When Bob Lost His Cellphone," in this imaginative collection of after-school writing from 2013.